Nobody loves baseball more than ten-year-old Lyssa Sampson. Nobody. For as long as she can remember, she's had only one dream: to be a pitcher at the Little League World Series. But Coach Jenkins has other plans, and Lyssa has to do a little innocent scheming to make her dream come true. When Coach Jenkins appears to be interested in Lyssa's single mother, Terri, Lyssa sees an opportunity for a little matchmaking. Maybe her efforts will help her mother find happiness again — and give Lyssa a chance at her dream at the same time. But will Terri and Coach Jenkins let a ten-year-old deal with matters of the heart? Or will reason take over and spoil Lyssa's plan? In the charming town of Hart's Crossing, neighbors still care about neighbors and visitors are offered a respite from fast-paced living as they observe the antics of its lovable residents. A daughter returns home from the big city to care for her injured mother. Childhood sweethearts reconnect after decades apart. A single mom finds herself the target of her starry-eyed daughter's matchmaking scheme. 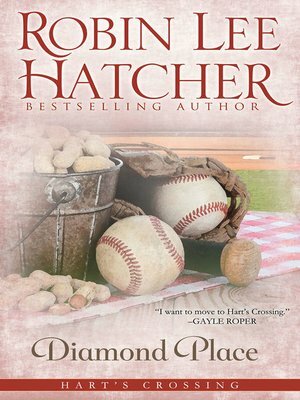 And a young couple struggles to find their own American dream in this wonderful collection of four novellas from bestselling author Robin Lee Hatcher. Celebrating family, faith, and forgiveness, Home to Hart's Crossing will warm your heart and soothe your spirit.